all new talent service providers are licensed cosmetologists who are participating in or have completed salon kokopelli’s advanced training programs and are honing their skills to reach our level one status. they provide the same exceptional services both technical and value added as our current staff but at a lower price point. 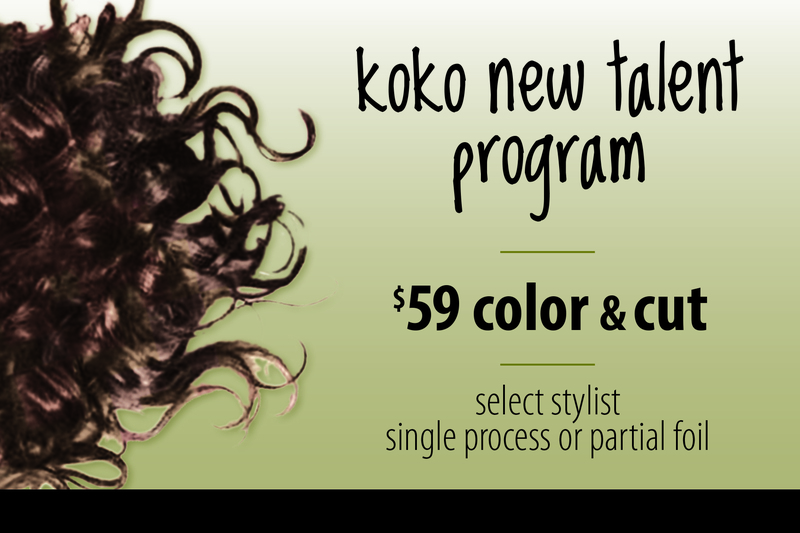 new talent service providers are available at both of salon kokopelli’s locations. when scheduling an appointment for hair color or hair cut in our brielle or spring lake salons, be sure to call in advance as new talent appointments are in high demand and it may take a few weeks to schedule your desired appointment time. call us today to make your next appointment now!